Trane XV80: This furnace offers up to 80 percent AFUE (a measure of heating efficiency), a variable-speed blower, and two-stage heating. It’s also convertible. Trane XC80: This furnace offers up to 80 percent AFUE, communicating capability, and two-stage heating. It’s also convertible. 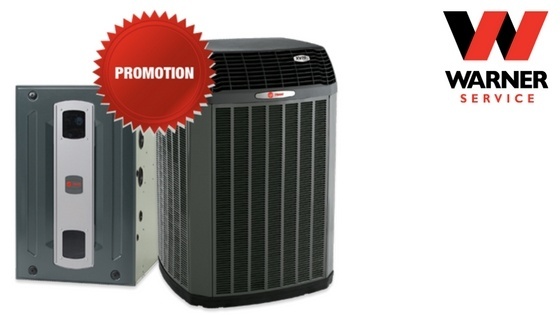 Trane XV95: This furnace offers between 95 to 96.7 percent AFUE with variable-speed blower motor and two-stage heating. It’s also Energy Star-approved and convertible. Trane XC95m: This furnace provides up to 97.3 percent AFUE, communicating capability, and fully modulating heat. It’s Energy Star-approved and convertible. All of these models utilize a variable-speed blower that works with two-stage air and variable-speed air conditioning units. (If it does not have a variable-speed blower, it will not work with two-stage air conditioning units or variable-speed compressor units.) Each furnace provides a more even temperature, better dehumidification control, and quiet operation in your home. These furnace models are the most popular with our happy customers because they provide a triple threat. They are necessary to gain the efficiencies and rebates through Trane and power companies in combination with specific outdoor HVAC units.